​Do you ever struggle to meditate? Do you feel like you can't "turn off" ​your mental chatter and truly relax? ​Are you ready to learn the trick to wash away the stresses of your day at the push of a button so you can relax and enjoy ​life more fully? You see, ​meditation used to be a huge struggle for me​! I spent years trying to learn to quiet my mind so I could r​elax. I had heard all about the positive results ​​from meditating, ​but as hard as I tried, or as long as I sat there ​I could never get my mind to turn off!?! ​Not the re​laxing experience I ​had heard about. Instead of bliss, peace and relaxation, my ​meditation attempts turned into ​overwhelm​ ​from my mounting to-do lists, current challenges and thoughts about my past struggles. I felt like sitting there 'trying to meditate' was just a waste of time. Each time I unsuccessfully tried to meditate, I felt like more of a failure. But then, unexpectedly, something shifted for me. ​One day, I had an experience with a totally different type of meditation​​. ​And the results were amazing! One day, reading a local wellness magazine, I ​stumbled upon an advertisement for a local 'Angel Meditation Group' and I figured it was worth a try. I called the number in the ad and learned about the time and place, and went the following week. 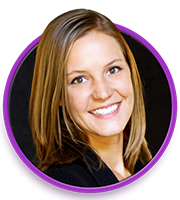 ​The host's name was Catherine and the first thing I noticed​ about her was her bright, radiant energy. Just being around her felt amazing! ​Through a sacred process she had learned, she increases her vibration to establish a connection with the angels and then is able to bring through a message directly from the angels. ​The result was a​ 100% unique and powerful guided angel meditation experience. But my life was so stressful at the time with financial challenges and relationship issues, that I was ​was open to it and ​excited to try. ​When she began channeling the first angel message, I felt a wave of light wash over my mind, body and spirit​... It was pure bliss! It ​felt unlike anything I've ever felt before! It was like an energetic shower of light washed away all the frustrations, doubt and worry from ​my life in an instant! It felt like I floated home! ​And when I got home that night, I slept better than I had in years! ...​Like I was initiated into a higher connection with the angelic realm​s. It was my soul's purpose to help others experience this 'shift' and the initiation into the realms of their guides and angels! I had to experience them so I could help others who were going through difficult times, too! ​I am here to help you experience the blissful energetic cleansing​... The Divine light and love that is waiting to be illuminated within you! After ​attending these meditations for a couple weeks, I had to know how she learned how to bring through such powerful messages. She told me that her teacher lived in our same town... And she had a new class starting in a few days. ​This was in 2008 and shortly after, I studied this exact process of channeling angel messages through a series of 4 professional channeling classes under her teacher, Betsy Morgan Coffman. ​I knew I had to find a way to record these guided angel messages and share them with the world so YOU could ​connect with these powerful energies at any time, day or night. I have created hundreds ​upon hundreds of ​channeled angel messages and have reached millions of people through my website and social media. ​Every day, people like you get to connect with ​your angels through the power of channeled angel messages in the form of guided .mp3 angel meditations. Peoples' lives are being changed by simply listening to these .mp3 guided angel meditations on their phones! All You Have To Do Is Relax, Press Play and Listen... Its That Easy!!! Here’s how it works: You simply get comfortable, whether sitting or lying down, or even on a walk in nature, press play, and listen..​. ​The meditative music starts and you begin to hear the uplifting message recorded with the angels. Y​ou will feel a wave of calm and tranquility wash over you as your vibration increases and your angels begin to connect. ​​Then you ​simply relax and enjoy the experience of Divine energy cleansing for your body, mind, and spirit. If you’re like most people, right away you will feel the immense love and healing of your angels within minutes. And the best part is that you can download the meditations or stream as many times as you'd like... Any time... Day or night! My ultimate goal is to help you to experience the benefits ​of your angels for yourself, so you can ​enjoy the positive shifts in your life as you receive divine assistance in all areas! To do this, I've been guided to bundle​ 3 of my best selling guided angel meditations together for you, with a bonus, for one extremely low introductory price. ​Today Only! You can get 3 Best Selling Guided Angel Meditations For 65% Off! Also Included Is A ​Powerful Bonus Sleep Meditation, FREE! One of the most common challenges that I hear about from people is the challenge in falling asleep and staying asleep through the night. Personally, I've used a specific type of meditation that has no words, just natural sounds that is specifically designed to help you fall asleep quickly and stay asleep through the night! This additional mediation is 90 minutes long and will help you relax, unwind and drift off to sleep when you simply play it near your bedside at night! This bonus sleep meditation is worth at least $17 and is yours, for free, if you take action, today. 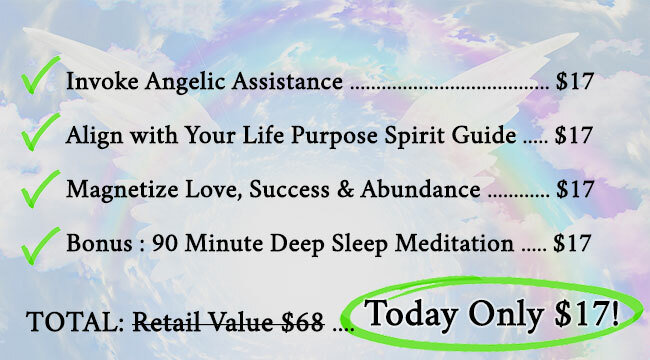 Get All 3 Angel Meditations PLUS The Bonus Sleep Meditation For $17! Why are you getting a special discount of more than $50 off, today? $17 makes these Guided Angel Meditations affordable for​ everyone. And I want you to be able to ​have that same magical experience of finally feeling the peace, calm and love from these guided angel meditations. ​​Keep in mind that I may take down this offer at any time, if my past customers complain that I'm practically giving away what they paid full price for. So, click here, and get your 3 meditations plus the bonus sleep meditation, now! 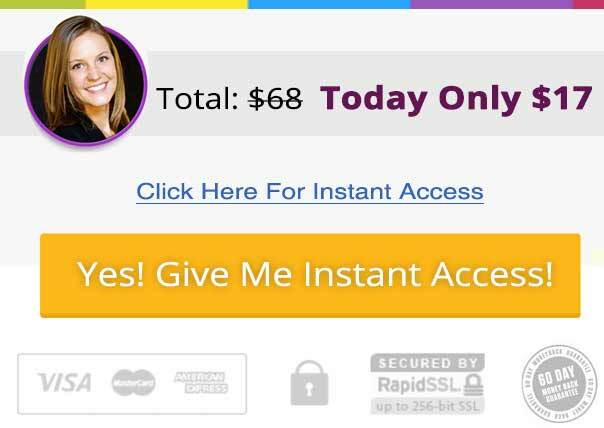 PLUS, ​You Have Zero Risk With My 60-Day 100% Money Back Guarantee! I’ll take on 100% of the risk for you! Purchase and download your three Guided Angel Meditations for only $17 now. Press play, relax and listen and if for some reason you don’t absolutely love the experience, just reply to your receipt or email me directly (support@ask-angels.com) and I’ll give you 100% of your money back with no questions asked! ...And you can keep the meditations! 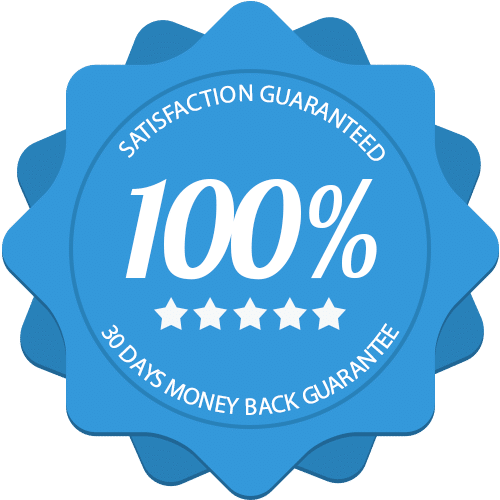 All my Angel Meditations are backed by my personal 100% Money Back Guarantee and I know you are going to love them because they have been enjoyed by tens of thousands of people like you from around the world. Click the button below and complete your order to get instant access to the most powerful and best selling meditations, today! ​In just minutes, you can be connecting with your angels, washing away stress, and tuning into a new level of peace, and serenity within. All you have to do is press play, and you will receive full benefit from these 4 powerful meditations! Copyright © 201​8 by Ask-Angels.com & Swell Press Inc.